The Vancouver Comedy & Arts Fest is ready to roll in 2013. The 11-day festival, February 7 - 17, has grown considerably since its debut in 2004 when it was known as the Vancouver Comedy Fest. This year's festival takes place in ten downtown venues, and features comedians, music, DJs, live podcasts and parties. 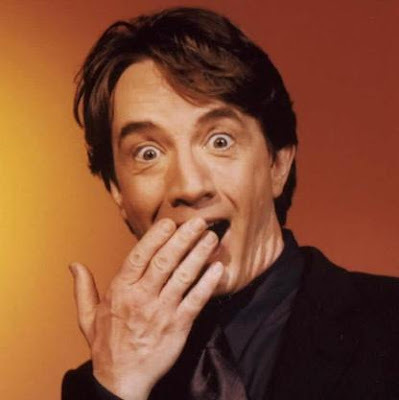 The Opening Gala is Friday, February 8 at The Centre in Vancouver (formerly the Ford Centre for the Performing Arts), and features Canadian funny man Martin Short. Appearing with the talented comedian are Kristen Schaal, Matt Kirshen and Wil Anderson. As an aside, I had a brief moment with Mr. Short a number of years ago in the elevator of The Fairmont Hotel Vancouver. When I got on to go to the lobby, I noticed the only other passenger was a sorta short man, facing the elevator mirror and adjusting his toque. When he turned around, it was Martin Short! Complete with a maple leaf on his winter toque, wearing a trench coat and sneakers. We chatted a bit and he was just like you think he'd be -- fun and friendly! Among the other 40 comedians at the festival are Bob Saget, Margaret Cho, Maria Bamford, Marc Maron, Reggie Watts, Wil Anderson and Kurt Braunohler. In addition to The Centre in Vancouver, the venues include Lafflines Comedy Club; VENUE; Biltmore Cabaret, Rickshaw Theatre;The Kozmik Zoo; The Playhouse Theatre;Yuk Yuks Vancouver; The Comedy MIX; and The Orpheum.